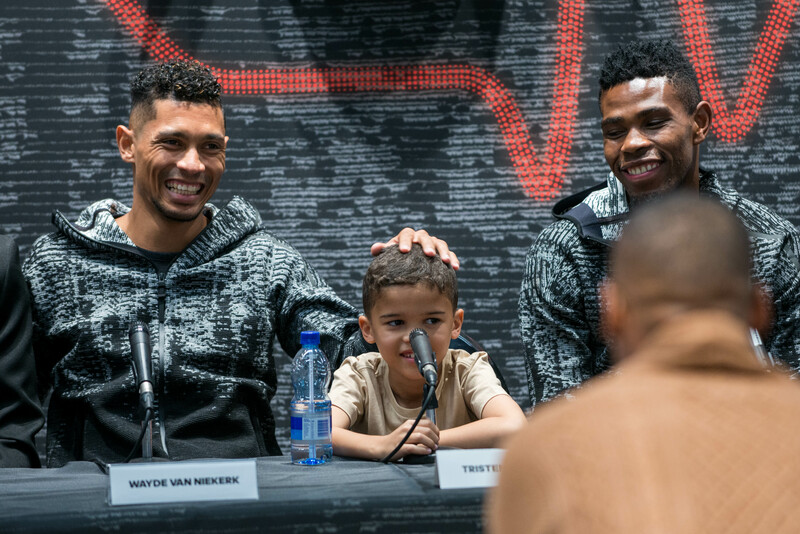 Last week Thursday, adidas Athletics in celebration of the Z.N.E Pulse collection together with adidas ambassadors Wayde van Niekerk, Akani Simbine, Thulani Hlatshwayo and Warren Whiteley, surprised a young aspirant athlete to a shopping experience at the new adidas performance store in Sandton City Mall. Athletes engaged with aspirant athletes on a social media call to action and each athlete selected their winner. The young athletes thought they were being casted for an adidas advert when their respective hero surprised them creating a once-in-a-lifetime moment. The young athletes were lost for words upon meeting their hero’s and were fitted with heart rate monitors that registered their Pulse in this heartbeat of sport experience. Later that day they sat confidently next to each athlete in a media conference, recounting their experiences and what the day meant to each of them.